Stasera comincia Sensoralia, la rassegna di musica elettronica e arti visive di Romaeuropa festival in collaborazione con il Brancaleone, per cui sto lavorando. Sensoralia - tra video, laptop, mixer e amplificatori - riverbera le nuove tendenze del sound urbano che spazia dalla techno ai suoni acid, passando per beat minimal e tribal house. Questa sera Sensoralia viene inaugurata da Jeff Mills, (Detroit, classe 1963), produttore e performer di musica Techno che ha letteralmente fatto la storia del genere. Famoso per i suoi dj/live set a 3 giradischi e per il suo modo unico di far suonare la Roland TR-909, drum machine che mai lo ha abbandonato, Jeff Mills - con un live/dj set di 3 ore - presenterà “Sequence”, nuovo progetto che celebra il ventennale della sua etichetta Axis. Artista, unico nel suo genere, Jeff Mills ha saputo spaziare dalla Techno più dura alle sperimentazioni più disparate, rilasciando album su etichette come la Tresor (Vaticano della Techno), creando la Axis Records, dando vita a progetti come la collaborazione con la Montpellier Philharmonic Orchestra o la serie “The Sleeper Wakes”, incentrata su una particolare visione dell’universo e su interessanti concezioni e descrizioni musicali di spazio e tempo. Tonight Sensoralia will start! It's an elecronic music and visual art festival festival of Romaeuropa festival, for wich I'm working, in collaboration with Brancaleone one of the most interesting music club in Rome. Sensoralia –trough video, laptop, mixer and amplifier - reflects the new trends of urban sounds ranging from techno to acid sounds, through minimal beats and tribal house. Tonight Sensoralia is inaugurated by Jeff Mills (Detroit, born 1963), producer and performer of Techno music that has literally shaped the history of the genre. Famous for his dj / live set at 3 turntable and its unique way to play the Roland TR-909 drum machine that has never left him, Jeff Mills - with a live / dj set 3 hours - will present "Sequence "new project that celebrates the twentieth anniversary of his label Axis. 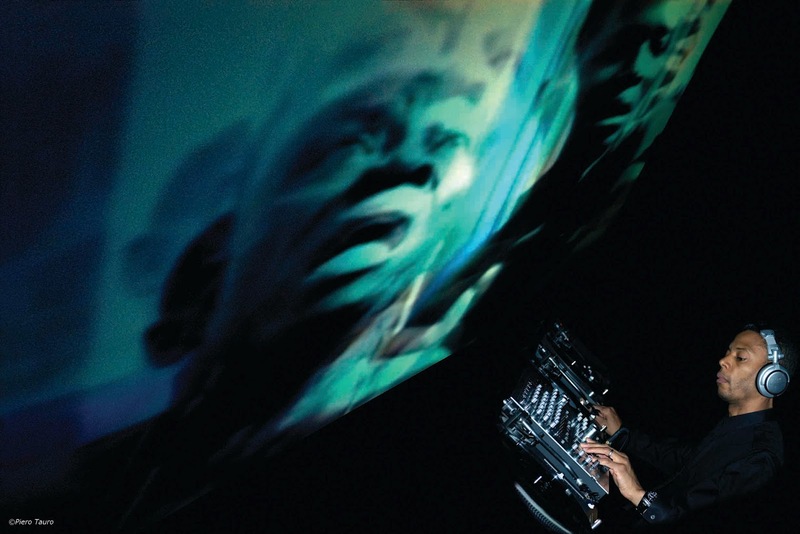 Artist, unique in his genre Jeff Mills has been able to range from the hardest Techno to various experimental music. He released albums on labels such as Tresor (Vatican of the Techno) he has created the Axis Records, and he has collaborated with the Montpellier Philharmonic Orchestra and he worked on different project such as the series "The Sleeper Wakes", focusing on a particular view of the universe and of interesting concepts and descriptions of musical space and time.